Four handcrafted vegetarian spring rolls, cooked in 100% rice bran oil until golden brown and crispy. 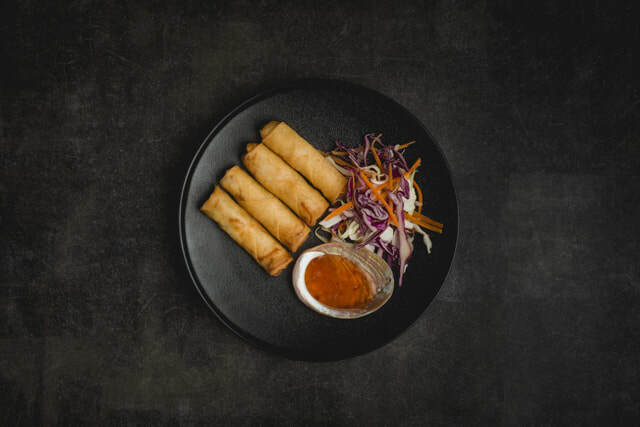 Served with a delicious Thai sweet chilli sauce. 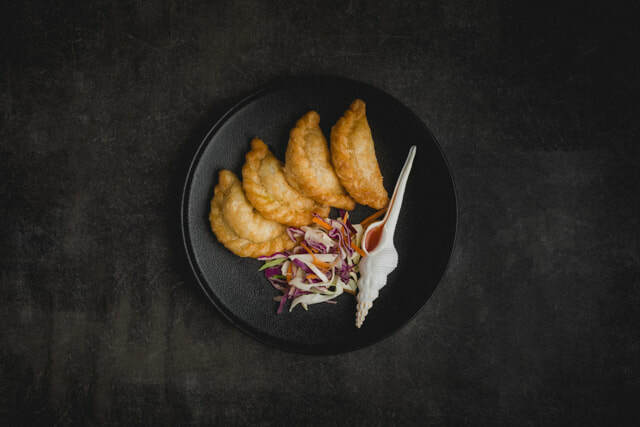 Four pieces of crispy puff pastry cooked in 100% rice bran oil and stuffed with a blend of minced chicken, potato, carrot and an authentic yellow curry paste. 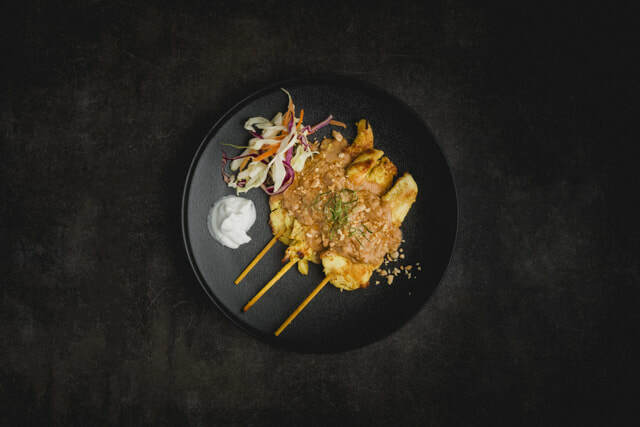 Three satisfying skewers of 100% chicken breast, marinated with Thai herbs before being pan-grilled to order. Covered with a liberal helping of our handmade crunchy peanut satay sauce. 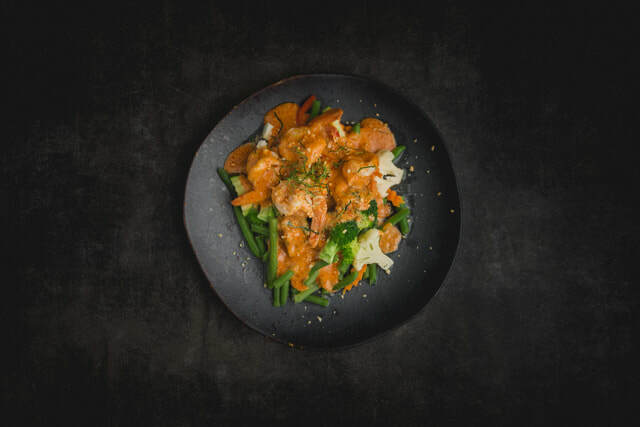 ​Marinated chicken breast stir-fried with our authentic spicy red curry paste. 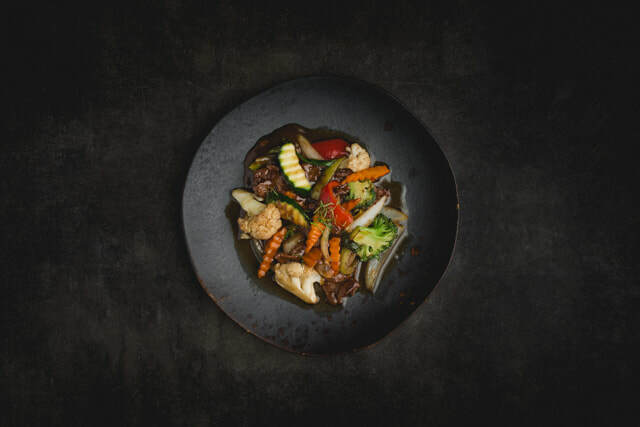 Served with a selection of fresh seasonal vegetables, such as zucchini, leek, capsicum, long bean, cauliflower, broccoli, mushroom, carrot, bamboo, onion and cabbage. 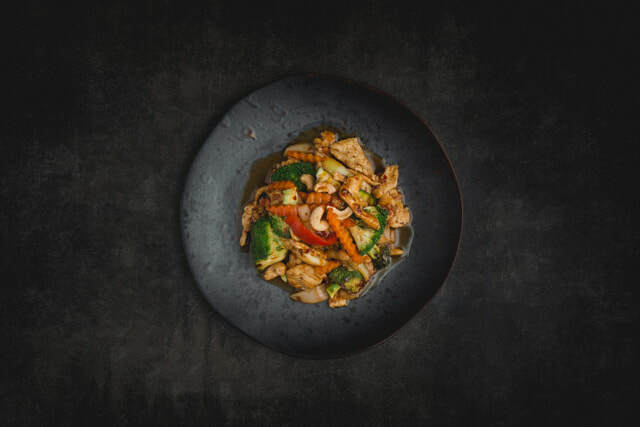 ​Marinated chicken breast and cashew nuts are stir-fried with our top-secret sauce. The dish is served with a selection of fresh seasonal vegetables, such as zucchini, leek, capsicum, cauliflower, broccoli, mushroom, carrot, onion and cabbage. 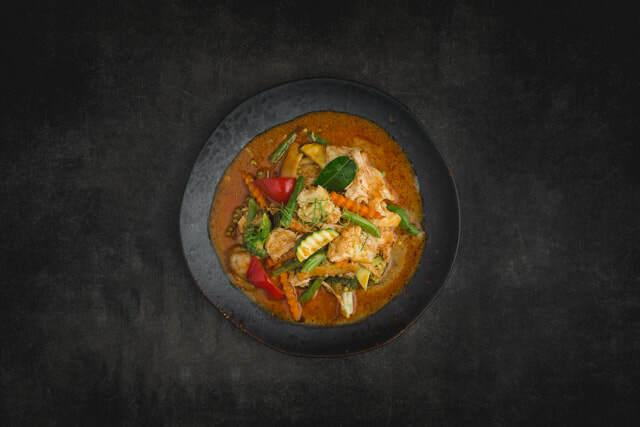 ​100% chicken breast is stir-fried with both fresh Thai basil and our homemade spicy basil sauce. 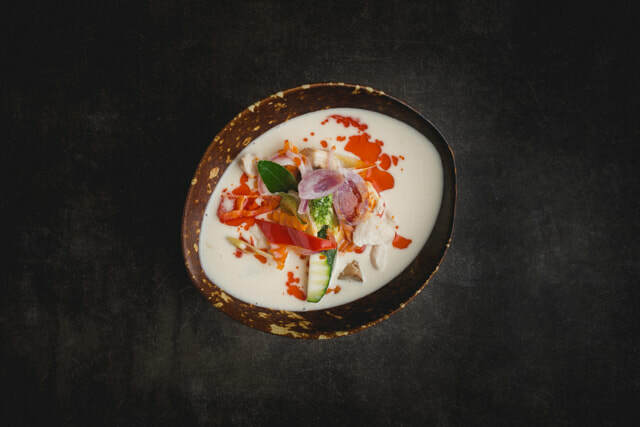 The dish is finished with a selection of fresh seasonal vegetables, such as zucchini, leek, capsicum, cauliflower, broccoli, mushroom, carrot, onion and cabbage. Crispy fried rice noodles with a lightly scrambled egg, bean sprouts, crushed peanuts and a temptingly sweet tamarind sauce. Add a protein of your choice. 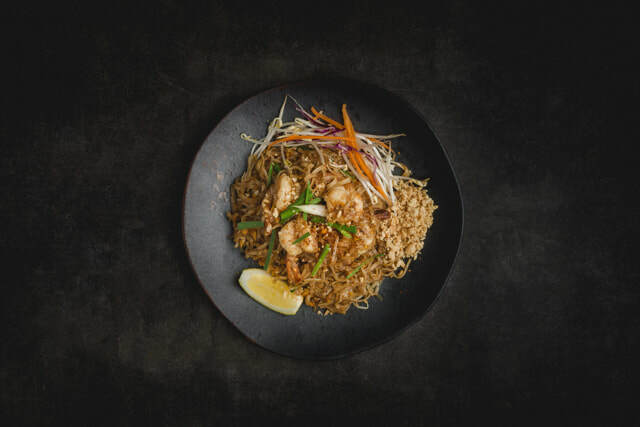 A protein of your choice, stir-fried in a punchy garlic and black pepper sauce. Topped with a selection of fresh seasonal vegetables, such as zucchini, leek, capsicum, cauliflower, broccoli, mushroom, carrot, onion and cabbage. 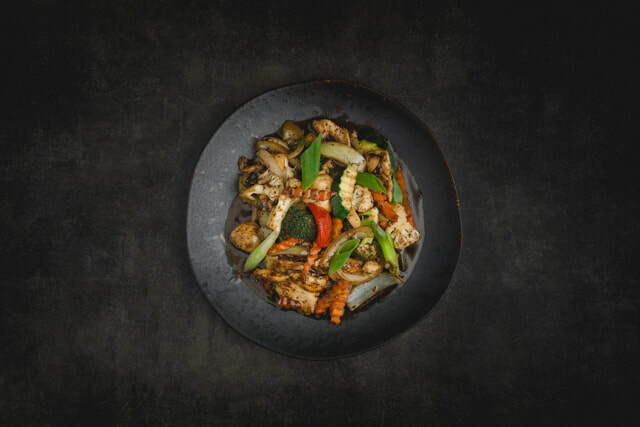 A protein of your choice, stir-fried in our delicious Oyster sauce. 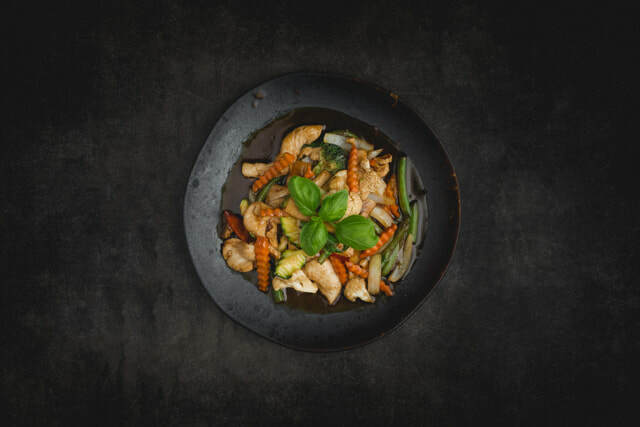 Topped with a selection of fresh seasonal vegetables, such as zucchini, leek, capsicum, cauliflower, broccoli, mushroom, carrot, onion and cabbage. 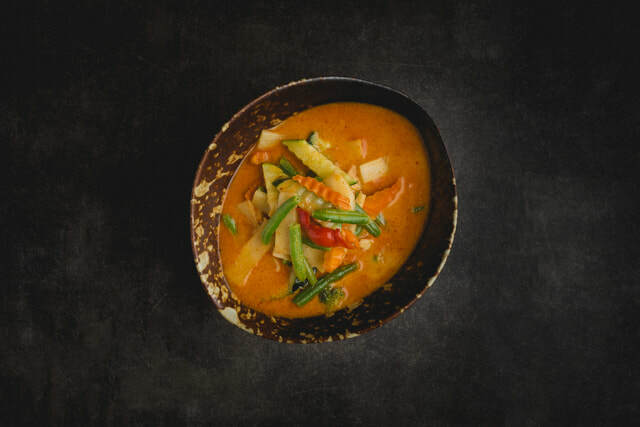 Yellow curry paste, known to be richer and creamier than other curries, is blended with coconut milk and vegetables to make this delightful dish. Add your choice of protein and we’ll top it off with fresh seasonal vegetables. 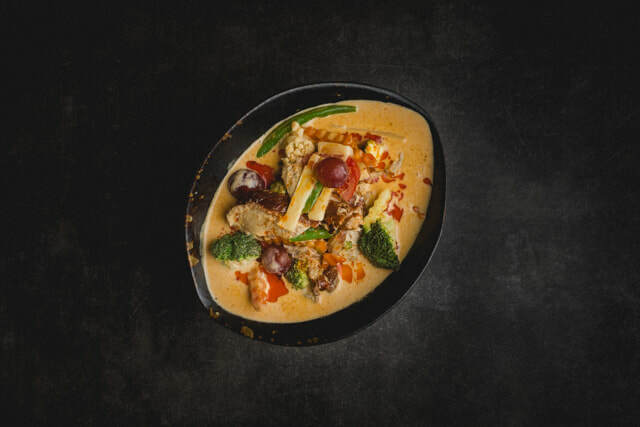 ​Your selection of protein added to a flavorsome blend of coconut milk, vegetables and red curry paste, made from dried red chili peppers along with garlic, shallots, coriander, cumin seeds, lemongrass, shrimp paste and more. Topped with bamboo shoots and a selection of fresh seasonal vegetables. 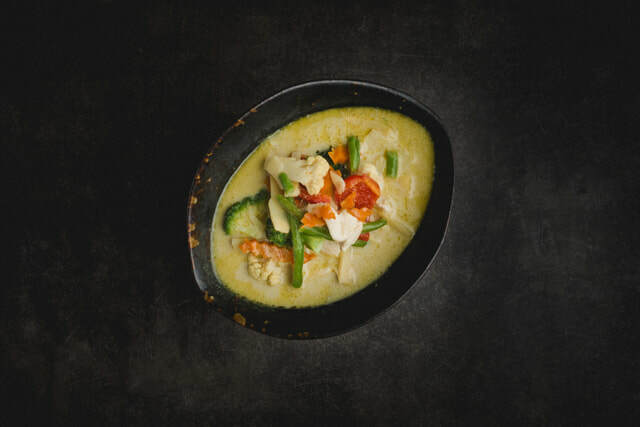 ​This popular and delicious dish is made with green curry paste, coconut milk, vegetables and your protein of choice. Topped with a selection of fresh seasonal vegetables. ​This is a hot and sour soup made with coconut milk, galangal and your choice of protein. It’s spicy and comes topped with fragrant herbs and a selection of fresh seasonal vegetables. This world-famous hot and sour soup can be made with a protein of your choice. It includes mushrooms as well as a generous blend of fragrant spices and herbs that give its distinctive hot and sour taste. Grade-AAAAA quality jasmine rice, fried with fresh eggs, seasonal vegetables, cashew nuts and your choice of protein. 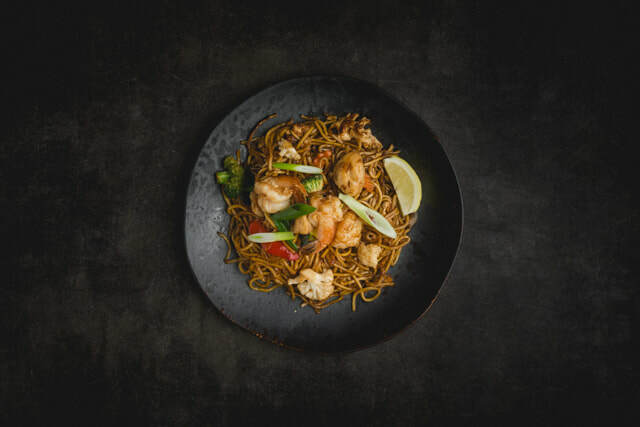 Fried egg noodles with your selection of protein, our special homemade sauce and a selection of fresh seasonal vegetables, such as zucchini, leek, capsicum, cauliflower, broccoli, mushroom, carrot, onion and cabbage. 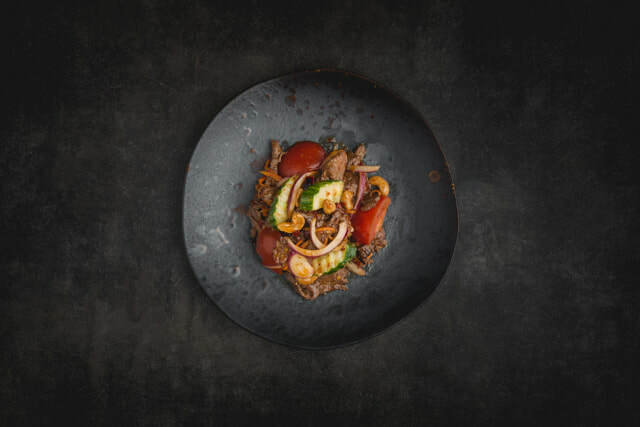 Authentic Thai yum-style salad with a generous helping of quality beef, fresh red onion, chilli, spring onion, and tomato. 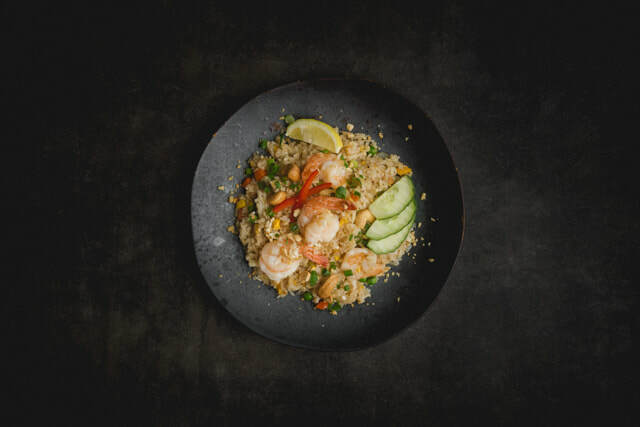 A light but nourishing dish that tastes delicious. 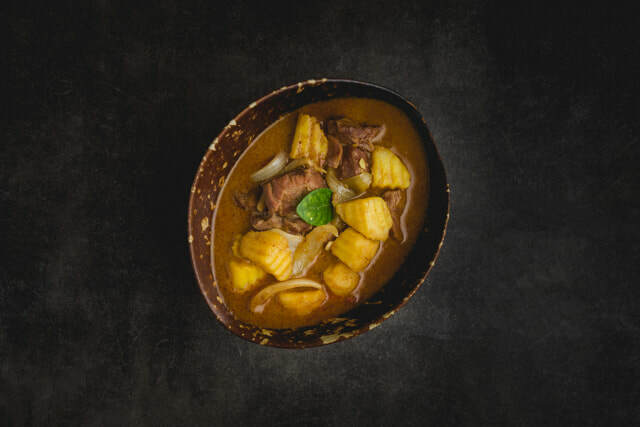 Authentic Massaman curry with tender pieces of lamb, coconut milk, peanuts and potatoes. Rich and relatively mild, this dish is full of aromatic spices. Roast duck is stir-fried with fresh ginger and our homemade sauce to give this dish it’s unique flavor. 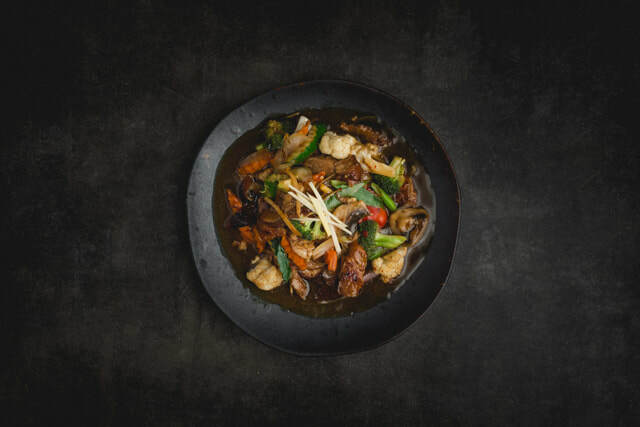 Cooked in a wok on a very high heat and finished with a selection of fresh seasonal vegetables, such as zucchini, leek, capsicum, cauliflower, broccoli, mushroom, carrot, onion and cabbage. 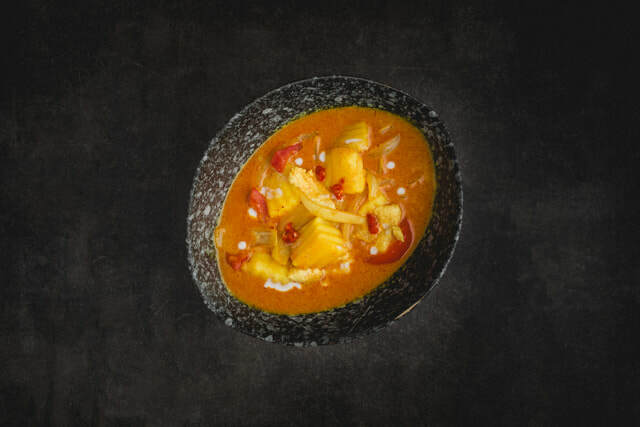 ​Succulent duck with red curry paste blended with coconut milk, tomatoes, pineapple and vegetables. Topped with a selection of fresh seasonal vegetables. 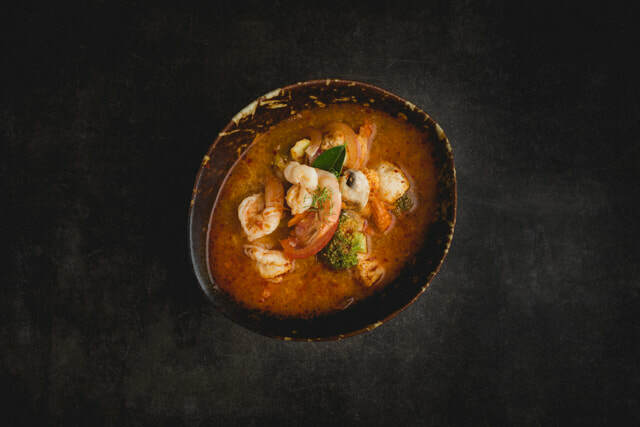 Prawns with our thick, salty, sweet and nutty panang curry paste, kaffir lime leaves, peas and coconut milk. Topped with a selection of fresh seasonal vegetables.